How do you increase direct bookings Well our series of articles has highlighted just some of the small things you can do to "reduce friction". Add all of these small things together and you WILL see a difference in conversion. What do we mean? Well simply put, it means accommodation providers must remove anything that disincentivises the visitor to book on their site. Don't say phone for late availability. Don't offer better prices and availability on OTA's and use all the graphical tools in your control to get the guest to click where they want to go. 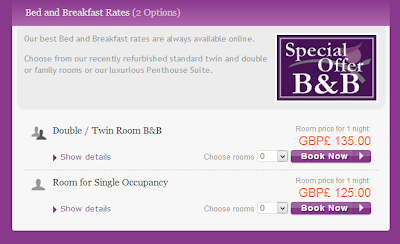 Gailes Hotel today have ticked another box with the dropping in of clear calls to action on their booking page. You're in little doubt where to go here are you? They have created their own buttons making navigation easier but also reinforced their brand identity at the same time. Great job again by the team at Simpsinns. This new workshop can help your tourism business or cycling business to grow your business and attract more visitors. Mountain biking is already worth £119 million to the Scottish economy, and it's set to grow by 30% in the next 5 years. This workshop will explain the market opportunity, allow you to hear from those who are already succeeding in the niche, and stimulate your thinking as to what this means for your business in an innovation session. Time: 9.30 am to 1.15 pm, followed by a one-hour mountain biking taster session. 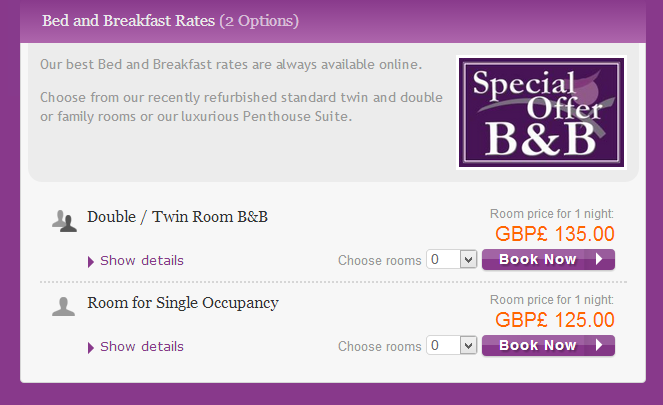 Price: £20 per person. Includes lunch, light refreshments and all equipment for taster session. What may have skipped everyone's attention and indeed ours was that the Scottish Government VisitScotland have allocated up to £1.2 million for aforementioned opening concert for the Ryder Cup! Yup £1.2 million pounds of public money on a pre-event event that makes the private sector organisers buckets and buckets. Nothing of course to do with the referendum immedaitely before it. Nope that would be cynical and churlish. It is intended that the support for this event will be in the range of £800,000 to £1,200,000 depending on the funding requirements tendered for the Services." The Ryder Cup is a private event (if you ask Scotland's golf tourism operators a VERY private event) with massive profitability from the sale of rights, merchandising, tickets, packages and licencing. Yet here we have a cash strapped country paying £1.2 million of public funds for a bloody concert. And we just stand around and applaud and say "Well the profile will be good for tourism." Yeah a bit like the £6 mill spent on Brave? Once the BBC have run out of Rangers stories (accepted that may take a while!) 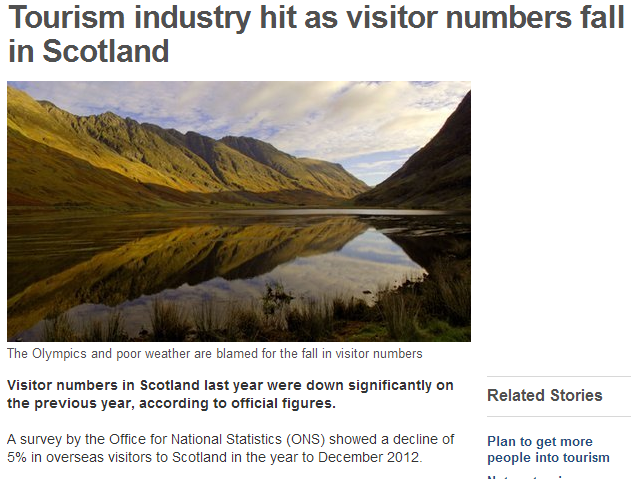 wouldn't it be great if they could just go through the list of tender documents under VisitScotland over the past three years and maybe just ask the occasional pertinent question to those in charge? We've been fortunate to be doing some work recently with Ayrshire based Kirsty Innes Marketing for one of their clients in Glasgow and one of the many ideas that was bounced around the table was the development of a character or characters to front the client business for some of their family, leisure and online markets. It made me think of some of the previous jobs we'd worked on in the past and in delving deep into the filing cabinet archives we found a couple of folders with some of the materials and background to the project we managed nearly twenty years ago in Aviemore. It was possibly Plan B's very first client and came through an old Stakis Aviemore colleague who was after a bit of affordable consultancy. He sure got it! 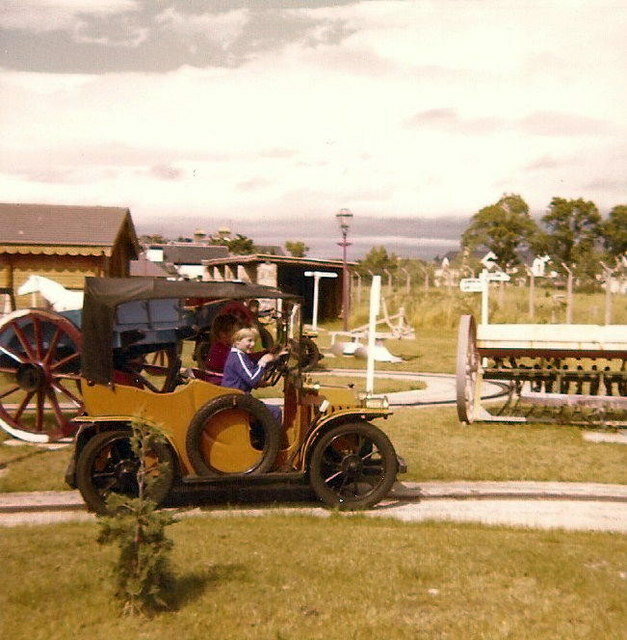 Santa Claus Land was one of those iconic memories from the Aviemore trial of the seventies and if you'd been in the Cairngorms area with kids then the chances are you'd recall the old attraction. The "theme park" was arguably one of Scotland's first way back in the day when Aviemore was first built as Scotland's tourism playground. The 1990's owners - the Craig Whyte and Charles Green of their day - saw Santa Claus Land as a bit of a PR exercise in their plans to redevelop the whole centre and they subsequently refurbished and reopened SCL. Plan B was playing a small part with the local management team and Edinburgh based architects in trying to build a coherent business plan for the overall redevelopment strategy but had been specifically tasked to develop a short term tactical plan for the relaunch of Santa Claus Land. The branding was looked at (long before we had even heard of a Brand Wheel!!) and as well as work on the logo and the basic promotional print materials we had had the idea to support Santa with his helpers and created a range of characters each with their own personalities all with a view to creating a wider revenues stream from associated merchandising. Okay it was hardly a novel premise but for Scotland at that time at least had some unique elements in it! Well we thoughts so at the time! Anyway, the project evolved into full costumed park characters, T-shirts, badges, marketing materials and family friendly collateral such as the colouring book and small boxed figurines. Twenty years ago nearly. Wow. What could we have done with them with all that online technology and retail? Anyway, we thought it was worth sharing some of that old work as a piece of affordable retro marketing at its best/worst! Developed from scratch, we created the characters, their profiles and personas - essence and personality if you wish! - and one of the first things we developed was the old faithful colouring in book. There is no digital version of this anywhere and the scans in the PDF version below are showing the age (and coffee stains!) of the original which we found in the old files. Still I'm sure there'll be some old Aviemore employees from the day who will download it and get their kids to colour them in! There may even be a competition there! We've found some of the old brochures. Strange how print is print even two decades on. Okay no QR codes, join us on Facebook or website addresses but content is still content. "Ayrshire & Arran Tourism Team in partnership with VisitScotland would like to invite you to take part in a Tourism Gathering to explore how we can best work together to drive tourism growth in Ayrshire & Arran. The event will allow businesses to collaborate, network and discuss opportunities and priorities for their individual business and for Ayrshire & Arran as a destination. We would be delighted if you could join us at Menzies Irvine Hotel, 46 Annick Rd, Irvine, KA11 4LD on Tuesday 30 April 2013 between 10am and 4:30pm - a networking lunch will be provided. During the day there will be presentations on the Ayrshire & Arran Tourism Strategy and insights into the Ayrshire & Arran visitor. Delegates will have the opportunity to participate in two of four workshops which will focus on Using Themed Itineraries, Watersports, The Ayrshire & Arran Tourism Industry Online Portal and Working with the Media. There will also be a question and answer session during the day which will give you the opportunity to pose any questions you may have. You can register online now at: http://aatourismconference.eventbrite.com/ Registration closes on at 12 noon on Friday 26 April 2013. For those travelling from Arran transport will be provided to and from the ferry port at Ardrossan and Menzies Irvine Hotel. Please ensure you select this option when registering. A number of exhibitor tables are available to industry partners free of charge. Delegates will have the chance to network with industry partners during breaks and dedicated networking time on the agenda. If you would like to take one of the exhibitor tables please contact Laura Cree, Ayrshire & Arran Tourism Team by emailing laura.cree@ayrshire-arran.org"